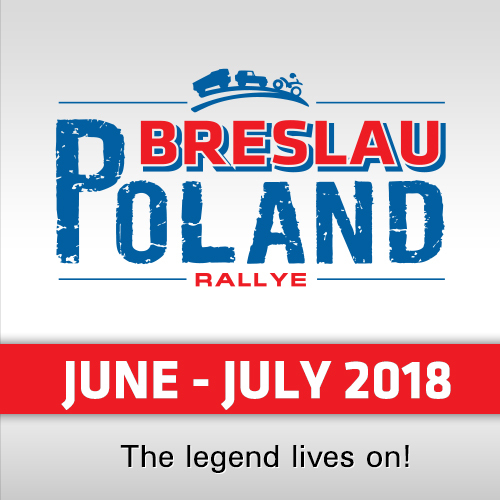 The event uniting two competitions on the same track – the first round of the FIA World Cup and the first round of the Russian Championship – traces its history back to 2003 and is traditionally held in the North-West of Russia. Morning for the sportsmen started with the usual procedures – administrative and technical checks. 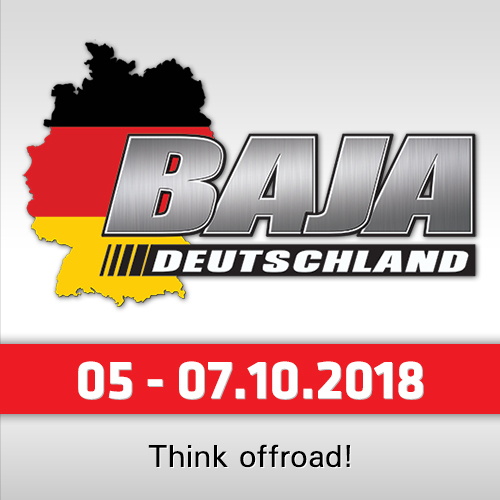 As a result of the inspection and by the report of the technical delegates, 27 crews of the Championship and 20 crews of the World Cup were admitted to the start. 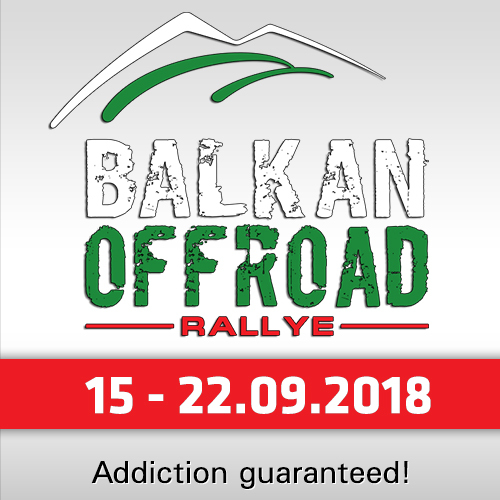 Andrey N. from the Suprotec Racing Team refused to start for medical reasons; and two crews were transferred to the "Raid" standings of the Russian Championship from the World Cup – the Romanian crew of Barbu Claudio in Nissan Navara and the crew of Egor Okhotnikov in the GAZ pickup. As drivers reported in their interviews, this race is an interesting challenge and an unusual adventure in the pursuit of points. 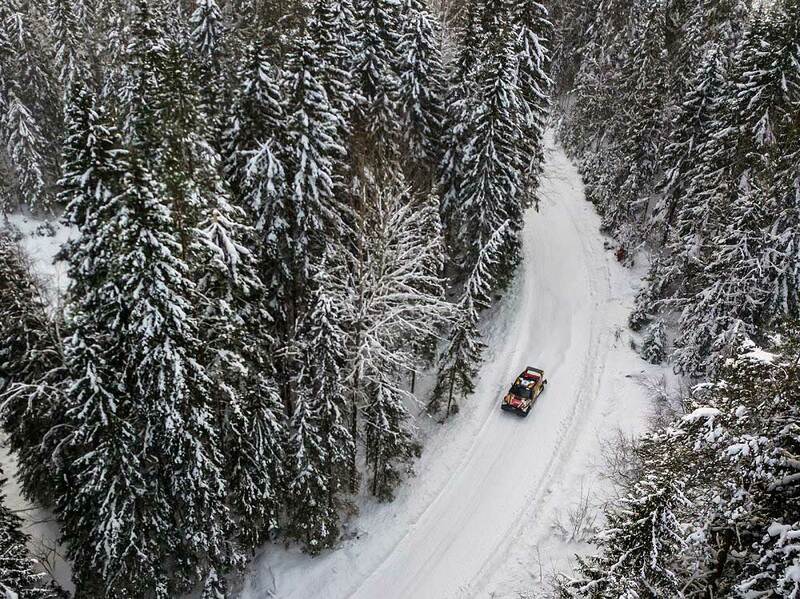 Many rally drivers from southern countries, such as Portugal, Spain, the United Arab Emirates, are pleased to note the unusual driving in a winter off-road conditions. Fernando Alvarez Castellano, starting number 23, reported: "Top-10 participants are excellent fast drivers, but you never know what will happen during the race and who will be at the finish. Driving on the snow is not like on the usual gravel, but there are trainings for that. Although it’s fun to drive on the snow, it’s never clear whether it will be possible to pass the turn inside or on the outside, so every driver tries to do his best. Cold weather is not a problem for us, because we are hot during the race!" Andrey Rudskoy, starting with a G-Force BARS, said: "We have prepared! Now we have a super-mega-heater in the car, there are ten adjustments in it, and if you put it on a grade 3, you can open the windows (laughing). The peculiarity of the race is that they usually put air-conditioners against heat, but here it is vice versa." Today the first warming-up special stage, traditionally called the Prologue, has been prepared for the competing crews. 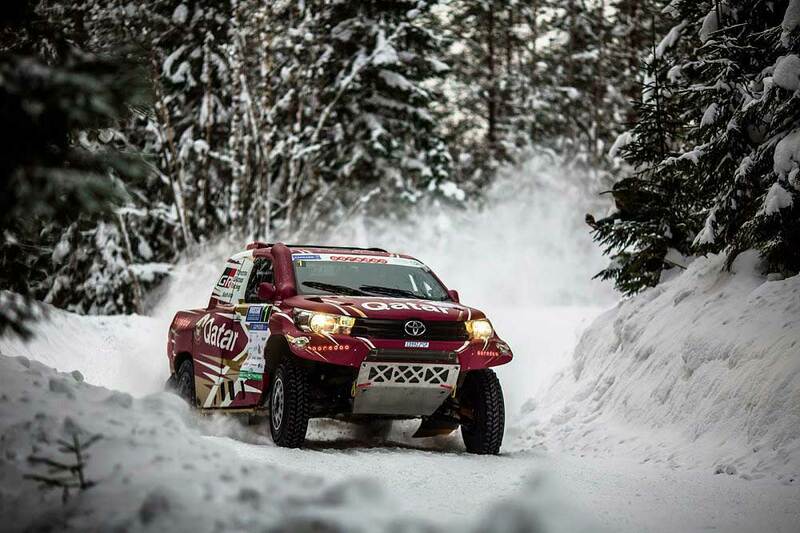 Everyone enjoyed 19 kilometers by a sunny, snowy road, and the best time was set by Aron Domzala, the last year winner of the Karelian race, in Toyota Hilux Overdrive. Nasser Al-Attiyah became the runner-up only four seconds behind the leader. 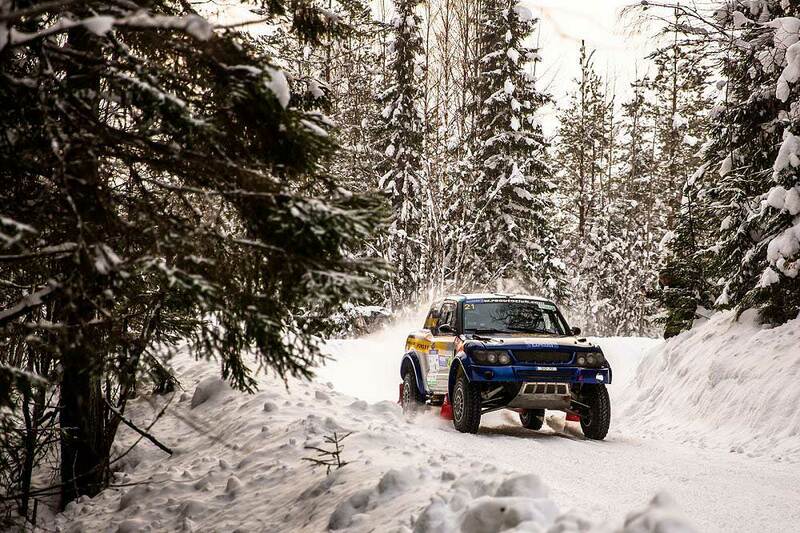 Tapio Lauronen rounded out the top three, and Vladimir Vasilyev from G-Energy team was the best of the Russians. Confirming his Champion of Russia title in the Production category, Alexey Titov showed the best result in the T2 group in the big and slow Ford F150 Raptor. Female crews of Maria Oparina and Yulia Megunova-Khegai drove very carefully. According to Maria, who bravely dared to appear behind the wheel of the Maverick X3 BRP – a small car with a space frame, without glasses and heating, she “confirmed the title of a real blonde”, forgetting to activate the all-wheel drive in her car. Handling was difficult and it was not always possible to get into turns, because going with a permanent rear drive through snow and ice – drifting is effectively, but not efficiently. It is in this order that the crews of the FIA World Cup standings will start on the second day of the race. 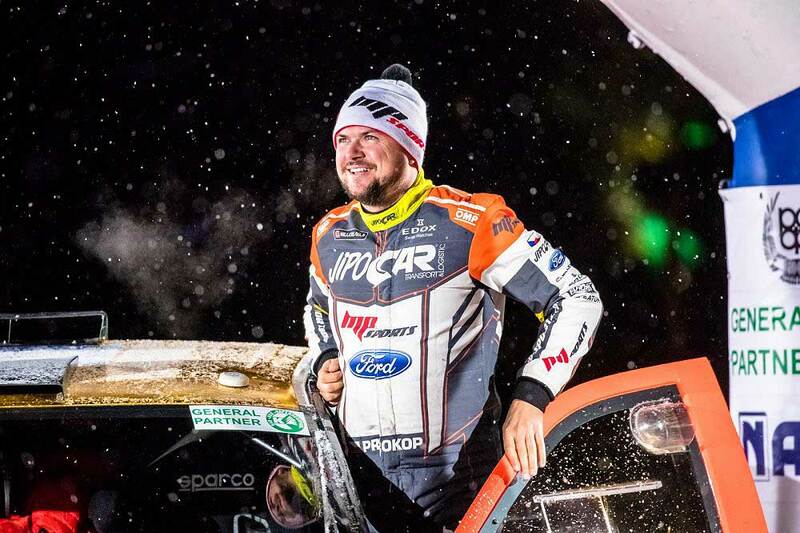 16 February ended with a colorful Ceremonial Start in the “Ruskeala” Mountain Park, marking the opening of the first round of the FIA World Cup for Cross-Country Rallies.